Stop asking yourself idle questions and find out once and for all! 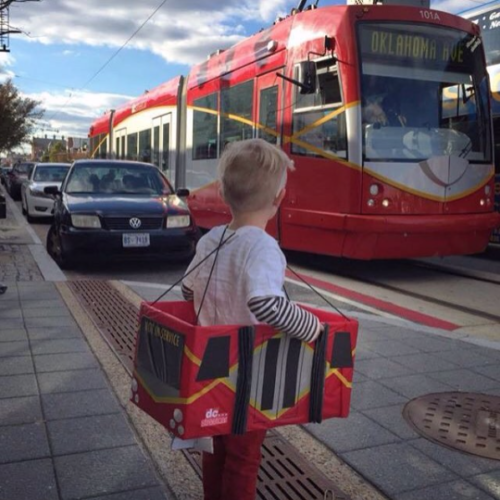 The third annual “Running of the Streetcar” is coming next Sunday, February 10 to H Street. Duffy’s Irish Pub will host all the participants– this will also be the place where you’ll check in at 2 p.m. At 2:15 p.m. (give or take when the streetcar actually shows up), all racers will ride to the end of the line at Benning Road and Oklahoma Avenue NE. The race will start between 2:30 and 2:45 p.m. and all runners will try to beat each other, cars, pedestrians and active traffic as they race west to the corner of 3rd and H NE, a.k.a. the Streetcar stop before the Union Station terminus. A few details from the organizers. The streetcar ride to the start will allow everyone to preview the course ahead of time and receive some pointers from runners who participated in the event in the past. The distance from the Oklahoma Avenue stop all the way back to 3rd and H is 1.92 miles. WE WELCOME SPECTATORS FOR THIS EVENT, and so feel free to invite friends and family to join us at the start to ride the car to the end, meet us at the finish line, or cheer on outside of Duffy’s! As passengers on board the streetcar, they’ll have a unique platform from which to observe the runners in their efforts to outpace the red Goliath. It won’t be a walk in the park! For the event, we are asking for a $5 (or any amount) suggested donation to help H Street Runners host our motivation station for the Rock N Roll DC Marathon/Half Marathon. Any amount will help and will go straight into supplies that will fuel all the runners in March! We will be having another collection for BOMF and Medals for Mettle! We’ll be collecting running shoes for Back on My Feet (BOMF) (https://dc.backonmyfeet.org/donate), which is a charity that “uses the power of running to fuel economic stability for those experiencing homelessness”. Also, please consider bringing a race medal or two as a donation to Medals for Mettle, a nonprofit founded by marathoners, which gives race medals to honor and uplift folks – especially children struggling with serious illness or disease. To learn more about Medals for Mettle, check out their website — https://medals4mettle.org/. Medals from all races (any distance) will be accepted and will be presented to very deserving people who will really love them. Consider donating a race medal – or as many of you can! After the race, all our welcome to join us for a special celebration at Duffy’s Irish Pub. This event will happen rain or shine.